It has been over two weeks since I left the social feeds behind. Late last year I’d realize that I’m just not suited for life on the social timeline. So, I set out to discover who I am and what I am better suited for in life without social media. To achieve this, I’ve cut out Facebook, Instagram, Twitter and LinkedIn. Since quitting social media, the benefits have been almost immediate. As I have mentioned before, quitting social media was not all that difficult to do. When I’m bored, I create instead of consuming. When I’m uncomfortable, I learn instead of retreating. More than ever before, I socialize by speaking face-to-face instead of Facebook-to-Facebook. I’ve realized just how out-of-practice I had become with talking to real people. While I’ve had a few mess-ups along the way of mindlessly navigating to a social website by mistake, overall, I am not missing the timeline scroll. It already feels as though I was never a part of it. Since I announced I was quitting social media, I’ve had conversations with people about their social media experiences. It’s amazing how many people share similar feelings. They too believe that social media is a one-way street. You can only share happy online, yet this overabundance of happiness is not the real picture. When drama or negativity is shared, it’s not welcomed. Social media doesn’t represent real life. I have struggled mightily as to what to post on my social media timelines. I want to share only good vibes to my friends and family, but that does not accurately depict who I am. My life is messy. I feel angry some days. Sad in others. I want to vent, complain and blame sometimes. But social media is not the place for that stuff. It is small-minded and petty to share our dirt online. I understand why we should never none of those feeling should be shared, but I want the world to know that I don’t live the perfect life that I’m depicting on my profile. On social media, there is no balance. It’s either unicorns and kittens or devils and rotting flesh. Without balance, happiness is merely a pipe dream. With constant timeline checking, I was trying to chase an ideal that I would never catch with infinite scrolling. I spent hours every day trying to compare my happiness with those of others, and the practice of it made me miserable. Even when I made a conscious effort to not compare my life to the social lives of my friends online, I still left feeling unhappy and unsettled. I have a problem with leading my own life. What it comes down to is that social media gives me an excuse to not work hard on the life that I want to create for myself. 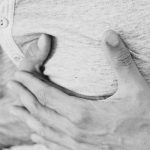 As a life-long validation junkie, social media feeds right into that addiction. If what I’m sharing online is not immediately and positively received, I give up trying. I understand that this is not a social media problem, this is a “Jeff” problem. But, to me, social media is nothing more than a validation portal. I’ve tried to see benefits outside of that, but I cannot see any. It’s too unbalanced and polluted for who I am. After two weeks of social media abstinence, I have already noticed significant changes in my life. I am more apt to engage in real conversation -even with strangers. I effectively communicate using eye contact. Eye contact has been a difficult thing for me to be comfortable with as I have always felt unworthy to speak to others. My already low-stress level has even dropped further. And this decline in stress is evident by my resting heart rate which has dropped an astonishing 10% since quitting social media. With the excess time I have gained, I can now direct much more quality efforts to this blog. I am reading more, thinking more, questioning more and ultimately learning more than I ever have before. Life has slowed down for me. Every day I feel that achieving my purpose to be an impactful writer is well within my reach. I no longer have the self-made critics that social media provided to stop me. I’m not sure what your thoughts are on social media, but I challenge you to understand your relationship with it. Are you unhappier, happier or indifferent after consuming the history of your friends’ lives? Are you able to stop for a week or two without twitching from curiosity? Can you envision yourself quitting social media? What does your life look like by doing that? Is it better than the one you have now? 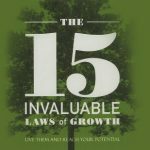 The 15 Invaluable Laws of Growth is a great book meant to inspire you on personal growth. John C. Maxwell uses his wisdom to share many relevant points that will move you into action. Great post. I talk about this in my latest book and also wrote an article “do you need a timeout from social media ” that ties right into your post. Thanks! I’ll check out your book!